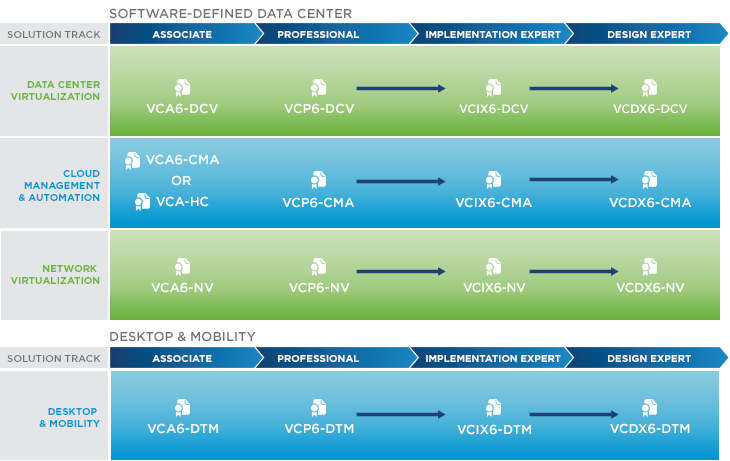 There is a lively thread going on over at LinkedIn regarding the new VCx 6.x tracks that I felt compelled to jot down a few thoughts on. 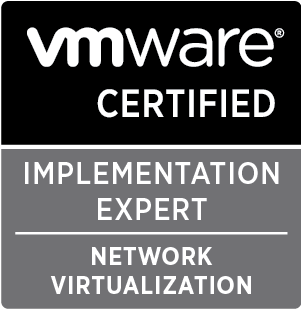 Firstly, once the new track becomes live, the VCAP level certs will be renamed to VCIX (VMware Certified Implementation Expert) and will require two exams as before. One for administration and one for design. So far, so good. Two exams as before, presumably of similar lengths as the VCAPs now with the same core set of skills being measured. 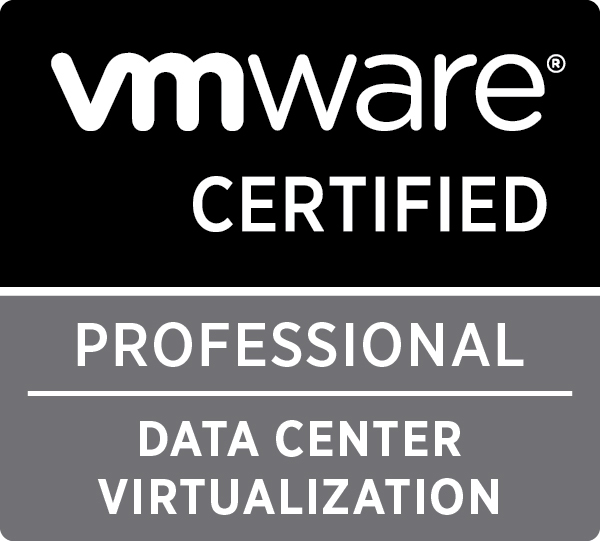 However, instead of having two certifications to your name (VCAP-DCx and VCAP-DTx), you’ll have one. Fine, I suppose it makes sense and I don’t have a problem with that. Now comes the interesting bit – “Elite Implementer status will be granted for candidates who complete multiple VCIX certifications”. 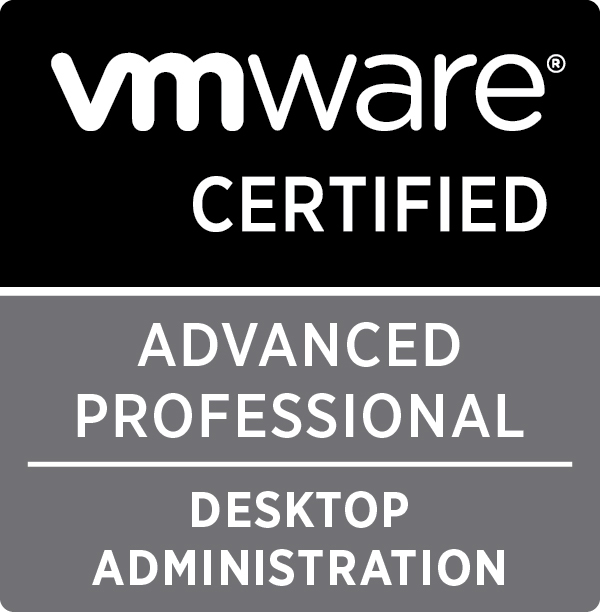 I’m glad VMware have recognised the amount of effort and skill required to complete multiple Advanced tracks, however these exams aren’t yet live (I’m guessing it will be around VMworld time before we see them in the wild) and there are a lot of people out there whose VCAP certifications are current and have completed multiple tracks. In my opinion, there is no reason why VMware cannot enact this change right now. It costs them nothing and provides recognition to those who have spent a minimum of around 12/14 hours sitting these tough VCAP exams and getting through them. Think about it. 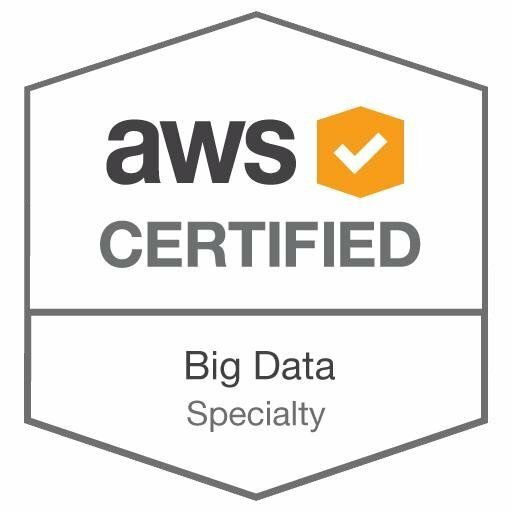 Yes, we’d all like to be VCDXs, but the crushing reality is often that this certification requires a level of commitment way over and above anything I’ve seen from any other certification. I simply don’t have the time and energy to commit to around 100-150 hours on putting together a design and submitting it to VMware and then defending it in front of a panel, much as I’d love to. The VCAP exams are tough, make no mistake. Not only do you need to have “operational” experience with all the respective products, but you also need to have a good understanding of the overlapping ecosystem – such things as third party solutions, Active Directory, Group Policy, storage, networking and more. Anyone with a VCAP cert has been through the mill to get it and deserves a pat on the back. 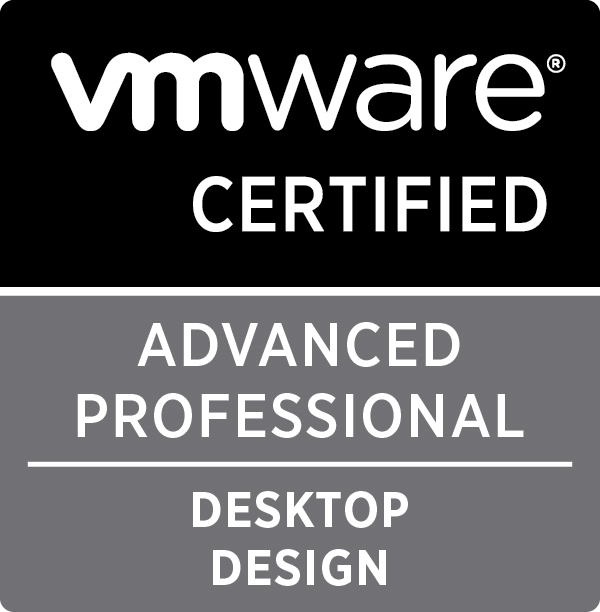 To have both design and administration certs for multiple different VMware technologies elevates you to another level still. So in short, come on VMware, recognise your multi-track vRockstars now and give them Elite Implementer status. It’s a small gesture that will go a long way and keep existing holders motivated for when the 6.x track comes on line. For more information on the 2105 track announcements, please visit MyLearn. Comments and opinions are welcome, maybe with enough weight we can make it happen! You may notice yours truly at the bottom of the agenda. 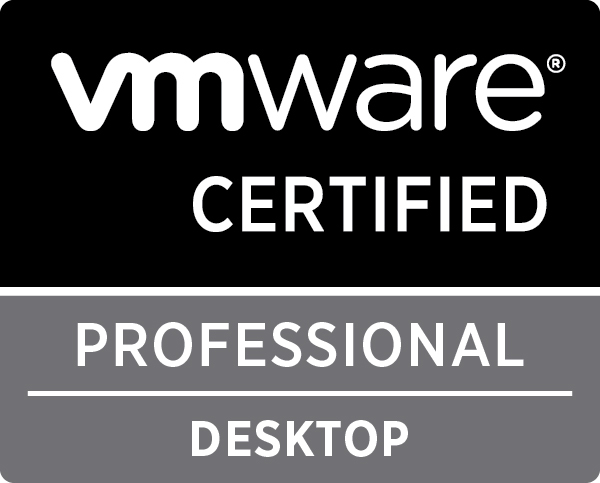 It will be my VMUG debut as a presenter and my session will basically cover the VMware certification tracks, mainly focussing on the VCAP exam formats. My hope is that I can demystify it a little bit and offer some words of guidance on the best way to prepare for them as I’ve passed three of them now. To register, please visit the VMUG group page. Looking forward to seeing you there! 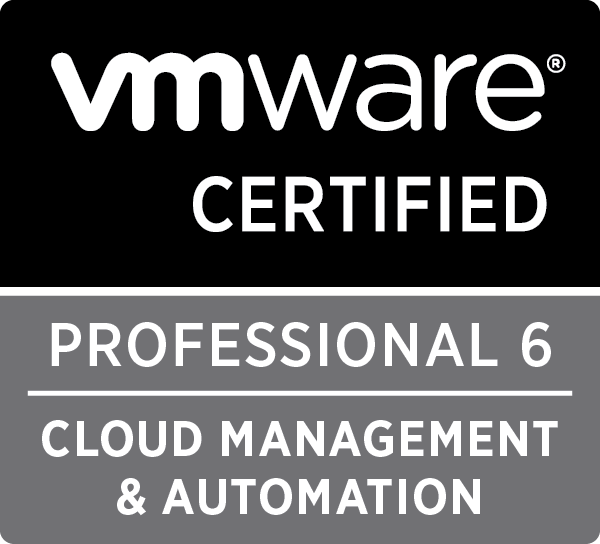 I’m freshly back from VMworld EMEA in Barcelona (well less of the fresh and I will post about VMworld later) but whilst I was there I decided to avail myself of VMware’s frankly crazy 75% off VCAP exams offer. I’d been thinking about doing the VCAP-DCA or DCD for a while as the VCAP-DTA is still baking and I missed the chance to participate in the beta. Honestly, my plan was to sit the exam, suss it out, expect to fail and then put it right the second time around. I had planned on downloading some of the excellent exam guides out there (I’m not going to name check them all, but a quick Google will see you right) and also using Paul McSharry’s VCAP-DCD guide along with the blueprint to give me a basis on which to study. As it turned out, all my well laid plans went flying out of the window as the 4.1 to 5.1 upgrade project I’m working on right now is consuming 110% of my time. Ironically, this turned out to be a blessing and a curse in equal measure, as several of the exam themes were fresh in my mind from leading the deployment. Anyway, to the exam. The exam room was in a quieter part of the conference centre, and seated roughly a couple of dozen candidates. I went through the usual entry requirements of providing two forms of ID, signing the NDA (so don’t come here looking for actual questions) and emptying my pockets into my bag. I made a point of asking if I could take a drink into the room. I think a 3.5 hour exam with no refreshment is too much. When I sat the VCAP-DTD exam I asked the same question, to be met with a rather rude response (yes, I’m talking about you, test centre in Leeds). The answer was that I could leave my seat to get a drink and go back, but the timer would continue. I’m cool with this, as we all know hydration is a key part of sharp focus and concentration. As well as being 3.5 hours in duration, the exam is 100 questions long. All of this is on the blueprint, so no trade secrets here. The format is of multiple choice, drag and drop and design scenarios. I recommend watching the sample video of how the design tool works on the MyLearn site, it may save you valuable minutes when you come to do it for real. The blueprint doesn’t specify how many of each you get, so I’m not going to divulge that here. Needless to say, time management is key and the design questions take longer than any of the others. One tip I would impart is to note down on your scratch pad at the start how many design questions there are, you will be told this at the start. As you come across one and complete it, mark it off so you know how many are left in the time remaining. I found this worked pretty well for me. I’ve gotten to the stage where I really like this type of question now, I like the challenge of it and I think I “get it”. As I progressed through the exam, I did find much of the answers to be “common sense”. If you know the difference between risks, requirements, assumptions and constraints and you know the differences between logical, physical and conceptual designs you really are half way there. But let’s make one thing clear, it’s not a totally “abstract” exam, so you do need to be experienced with vSphere and know about key product features such as DRS, HA and the like, as well as networking and storage to a reasonable degree (policy settings and their effects etc). You certainly can’t wing it, otherwise it wouldn’t be so tough! One strategy that can work is to eliminate what you know to be an incorrect answer. And here comes another key take away – read the questions and potential answers thoroughly – on more than one occasion I felt the question was set up to catch you out a little bit. In the rush to stay within the time limit, don’t skim read the questions and answers and make assumptions. Go back and read everything at least a couple of times. That makes sense, because in the real world, we do make assumptions about aspects of a project, and if we haven’t clarified this with the client, a feature implemented incorrectly or against the business requirements can waste a lot of time and money. I have to say that having sat a VCAP design exam before (DTD) definitely gave me an edge. I say this because I knew how the design tool works and how to read the scenario and requirements in the left pane. Key take away – when you read the content in the left pane, read it thoroughly a couple of times and then ensure you note what objects are required in the design. It may be that you may get the order wrong, or some connectors in the wrong places, but you may get exam credit for at least listing all the aspects of the design the client has asked for. Consider this approach if the design tool calls for an area you may not be so strong in, say networking. Do as much as you can, as the exam score is weighted. I can’t say for sure if you get partial credit, but it certainly can’t do any harm. In the end, I managed to complete all 100 questions with 39 minutes to spare, which was some achievement considering my DTD exam almost ran the full distance and in the end, I was rushing to finish. As well as the key take aways I already listed, I’d also say back yourself with your gut instinct for an answer. It’s actually scientifically proven that your gut instinct it usually correct! Don’t spend time trying to talk yourself out of answer, again look at the other options and ensure you read the question thoroughly. – Manage your time. Keep an eye on the clock and note down how many “design” tool questions you have left. Similarly, if you have any issues (for example the screen hung on one of my design questions), raise your hand immediately and ensure you don’t waste time trying to fix it yourself. If it takes a few minutes to resolve, the proctor will credit you that time back. Hopefully you will find these tips useful and don’t be afraid to give it a go. Also, don’t be afraid of failure. I know of a couple of very talented and experienced architects that didn’t pass first time. Sometimes it’s just understanding VMware’s particular design terminology, not that you’re a bad architect. So did I pass? Yes I did. Not by too many, but a pass is a pass. One thing I will say is that it has already made me feel a lot more confident about my design skills as this is a tough test which validates that. ps. VMware – hopefully I haven’t put anything here that breaks NDA. If I have, DM me and I’ll revise this posting. 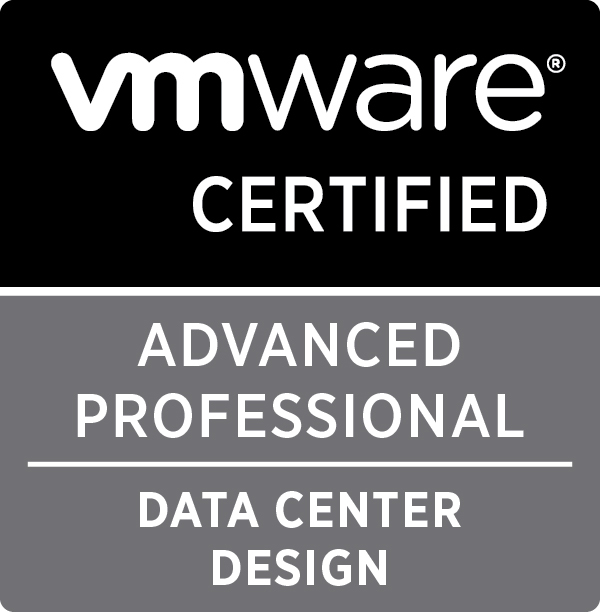 So finally, after 5 months tortuous wait, I found out I passed the VCAP-DTD the other day. Well done to everyone else who’s got it, I don’t know how many there are, but I’m guessing not that many. There are a few out there in Twitterland who tweeted their success the other day, so I’m going to enjoy it’s exclusivity for now, until more certified folks come along. As regards the exam itself, it was a tough old boot. I sat it early January, in fact the first week back after Christmas when my brain was even more Swiss cheese than normal. Owing to Pearson Vue chopping down the number of exam centres near where I live in north west England, I had to travel across the Pennines to Leeds to sit it. The exam itself is listed as 195 minutes. I think I came in around 10 minutes under that, but as I was so far behind time wise, I just ended up going with my gut feeling on a lot of the answers. It was physically and mentally one of the most demanding exams I’ve ever done. I wasn’t permitted to take any water into the test room, which had no natural light and was very stuffy (even in January!). I also didn’t find the exam centre staff all that welcoming, so I was glad when it was all over. Advice? Well firstly, you need to already be a VCP-DT to sit this exam. Also, it’s not an exam you can wing. I’ve been consulting for around 3 1/2 years, and that sort of experience is priceless for this sort of exam, as there are a lot of scenario based questions you need to answer. If you’ve done this for real with living, breathing customers, you’ve already got an advantage. You also need to know View inside out. What it can do, what it can’t do. How it integrates with other products. Some may disagree, but I think View is pretty unique in a VMware product as it has so many dependencies with other third party products such as RSA, load balancers and anti-virus. You need to know how to weave those into the solution, and not just at a superficial level. I’d say you need around 1/2 years of experience administering View, especially in an enterprise environment. The exam covers a very broad spectrum. One more tip is to watch the sample video on the VMware Education website on the drag and drop “Visio style” design tool. The blueprint states there are six of these in the exam, and they do take a big chunk of time. Don’t get waylaid here and keep an eye on the time. The demo can be obtained from http://mylearn.vmware.com/register.cfm?course=149330 and I think the video is around 10 minutes long. So finally I hammered together some study notes in a couple of days (I didn’t get chance to do any study over Christmas. Well, too pissed most of the time anyway!). The notes were constructed around the beta exam blueprint, so may not perfectly match the final release. That being said, I will publish them to the community, feel free to get in touch and let me know if you spot any errors or omissions. You may also distribute it, please just provide an acknowledgement if you re-publish any aspect of them. They’re not perfect, but hopefully they’ll aid your preparation. I submitted a session on the VCAP-DTD for VMworld Barcelona, so if you haven’t voted yet, please do and hopefully I can put together a decent presentation on this there.